VERIFY: Can you recycle cans or bottles from other states in Oregon? 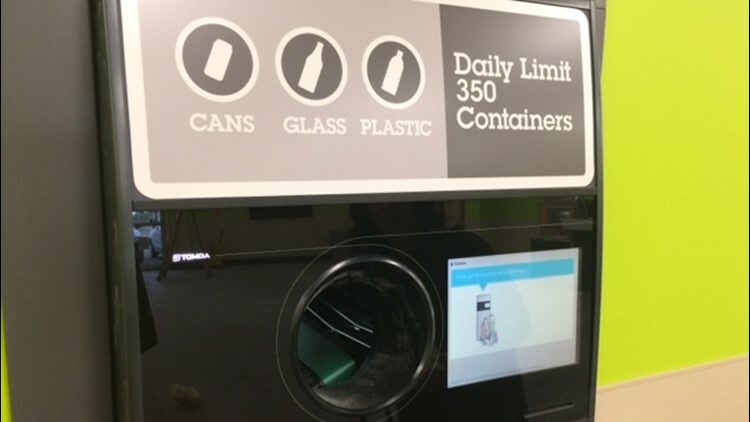 Oregon's machines and bottle drop locations are only supposed to accept bottles and cans that were purchased within the state. PORTLAND, Ore. — Oregon is just a quick drive down Interstate 5 for thousands of Washington residents, so it comes as no surprise that Washingtonians often recycle their cans and bottles in the Beaver state. KGW set out to Verify: Should you go to Oregon to recycle cans and bottles purchased in other states? We spoke with Joel Schoening from the Oregon Beverage Recycling Cooperative to get our answer. Last year, Oregon's 5-cent bottle deposit doubled to 10 cents, and the number of cans and bottles returned so far this year have skyrocketed. According to the OBRC, the third quarter of 2018 was the busiest in the history of the state's bottle return system, with returns of more than 500 million containers. Right now, workers at bottle return locations can reject customers arriving to their locations in cars with Washington plates. Workers can also reject those customers who have bottles or cans that are clearly not available for purchase in Oregon. And though the OBRC doesn't have the exact numbers on how many cans or bottles returned in Oregon are coming from our neighbors in Washington, Schoening says it's a problem they're concerned about. People returning containers through the BottleDrop Express centers can sign up for an online account that's eventually credited for the number of cans the customers have returned. Schoening said the OBRC has contacted some customers with Washington addresses, to make sure they know they can only redeem containers they purchased in Oregon. He said returning containers from out of state is a threat to Oregon's bottle drop system, enough for the OBRC to have created different work groups to figure out a way to monitor their system. "OLCC has given retailers and BottleDrop the authority to deny containers that we have reasonable suspicion are out of state," Schoening said. They say they're exploring possible punishments, and State Sen. Betsy Johnson has pledged she'll introduce a bill that would punish people returning containers purchased outside of Oregon. Other states, like Michigan, have harsh laws against returning cans or bottles that weren't purchased within the same state. Schoening admitted those punishments are too strict to carry over to Oregon. We can Verify: While it isn't legal, there's currently no punishment in state law for recycling cans outside of Oregon.